إن فندق Berida Manor Country Resort Bowral بموقعه الممتاز في هذه المنطقة السياحية هو نقطة انطلاق جيدة لنزهاتك في هذه المدينة المذهلة. يمكن من هنا للضيوف الاستمتاع بسهولة الوصول إلى كل ما تقدمه هذه المدينة النابضة بالحياة. يضفي محيط الفندق اللطيف وقربه من أكثر المعالم السياحية جذبًا سحرًا خاصًا على هذا الفندق. إن Berida Manor Country Resort Bowral حريص على توفير الراحة للنزلاء، فلا يوفر الموظفون جهداً في تقديم أفضل الخدمات وضمان حسن الاستقبال. يقدم الفندق فرصة للاستمتاع بشريحة واسعة من الخدمات بما فيها: مرافق مخصصة لذوي الاحتياجات الخاصة, تسجيل وصول/خروج سريع, تخزين الأمتعة, واي فاي في المناطق العامة, صف السيارات . يمكن للنزلاء الاختيار من ضمن مجموعة من الغرف المصممة بعناية لتعكس جواً من الراحة، والتي يتجاوز عددها 40. يمكنك طلب اللائحة الكاملة للخدمات في الفندق ومن بينها حوض استحمام ساخن, ساونا, حمام سباحة داخلي, سبا, تدليك. مهما كانت دواعي سفرك فإن Berida Manor Country Resort Bowral هو خيار ممتاز لإقامتك في المدينة. The Berida was a wonderful find & offered more than expectations. The reception team were warm, welcoming & so helpful. The ground floor room gave a feeling of warmth & comfort with plenty of light through the large windows overlooking the garden. The bed was extremely comfortable and the bathroom was spacious. Congratulations to the owners for an establishment that is such a welcome change from slick hotels. Reasonable hotel close to town. Failed to pre-notify of credit card charge. Hotel is over decorated, cluttered and quite twee. The restaurant has a limited, very over priced menu with the food being quite ordinary. Pleasant enough hotel but suggest that you eat elsewhere. The exterior of the hotel is appealing and there is ample parking. Staff are friendly and the on site Bistro serves excellent food. Our room was comfortable and breakfast was served in a charming lounge with a fire and sunlight through the windows. The property is in a dead end street within walking distance of the shopping centre. Berida Hotel is a well maintained , clean and comfortable hotel. It is in a good location and has many features to enjoy including a indoor heated pool , spa and sauna. Have been before and will go again. Great value and atmosphere. Third time visiting and can't wait to visit again! The staff were fantastic and super accommodating! The facilities its self were outstanding - loved the renovations! !Dinner in the "on site" restaurant was fantastic too! Highly recommended!! Lovely decor, very comfy bed and doona BUT oh dear, the bathroom is a shocker. It's smelly and old, definitely needs updating to match other parts of property. We were in room 28 which I wouldn't recommend, as it's close to lounge area, which was busy and noisy. 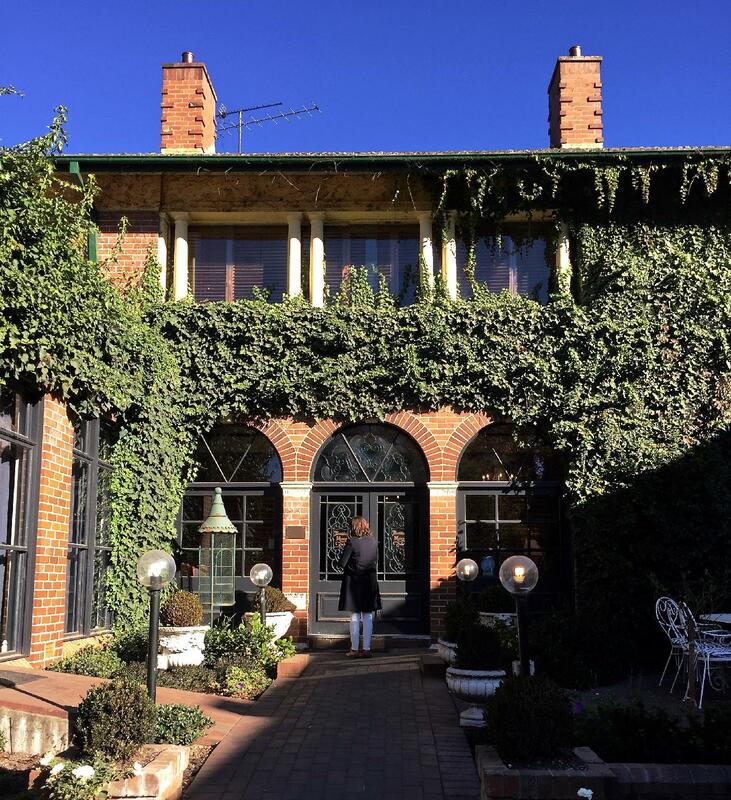 We stayed at the Berida for 2 nights to attend a wedding in the southern highlands. This building is beautiful - explore the lounge, shop and garden if you have a chance! The room was clean, the bed very comfortable. The queen room was very small (the bed took up most of the space in the room), but that was fine for us as we had external plans for most of our stay and were only using the hotel room as a base. 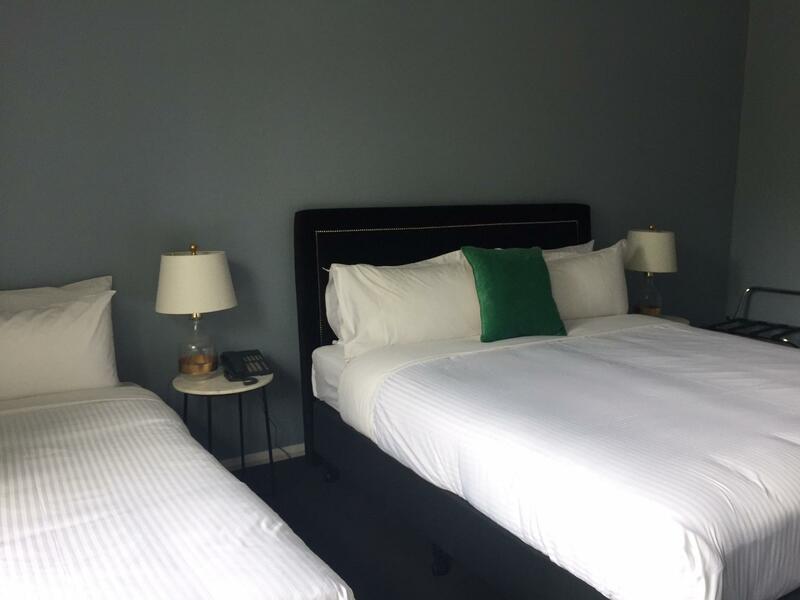 If you are staying for 2+ nights, consider upgrading. The room was also without a floor length mirror (only available in king rooms), again not a big deal, but as we were going to a wedding it would’ve been nice to see the ‘whole picture’ of our outfits! We arrived in the early evening of our first night staying at the Berida and unfortunately all the parking had been taken (by restaurant guests etc). They are expanding their car park, which will be a huge help in this regard. The staff were all lovely - the turn down service was a nice touch! Would definitely stay again! A beautifully refurbished country manor house! Lots of pockets to sit and read, with friendly staff and comforts for a night or two. Bistro Officina was fabulous so it's an all-in-one package at The Berida. Beautiful and quaint. Rooms in great condition. Very clean, comfortable and cozy. Beds are soft, fluffy and very big. Bathrooms modern and clean. Staff did their best to get us checked in early as we arrived before check in time as we were in town for a wedding that was due to start asap. The downsides are minor, no Foxtel and no room service for kids but we got them sorted with Mc Donalds for both lunch and dinner. We enjoyed our overnight stay at Berida Hotel. The bed was super comfy and the room nicely decorated. Our room was above the restaurant, you could hear music but it did not disturb my sleep at all. The staff were lovely and very welcoming. It will be great when the bathroom renovations are complete but I found the facilities adequate and we would be keen to stay again in the future. My partner and I stayed two nights with our three month old baby. The facilities were fantastic and helped me keep a young baby entertained and busy. We paid a reasonable price for the first night, which made the stay good value. However, the second night we paid full price ($255) which we didn’t feel was overly priced and wouldn’t pay again. The room we stayed in was away from the all communal areas which made it a lot quieter, although you could still easily hear other guests walking and talking in the hallways. Would definitely recommend. 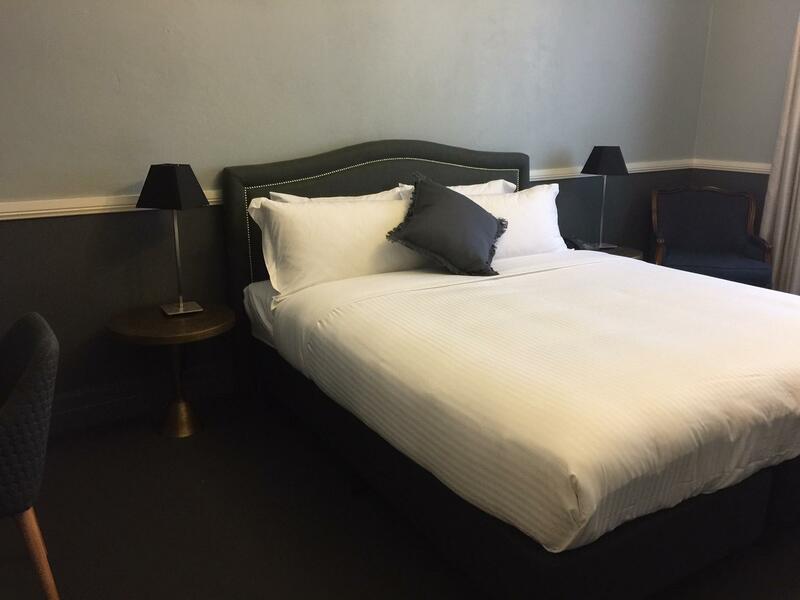 We paid A$106 for a room with a Queen bed but they had none on the ground floor so offered us a King on the ground floor at the same price, room 30 next to the Guest Lounge/Bar which seemed deserted so wasn't a noise problem. The room was big and very comfortable. There weren't many power points but enough. At that price breakfast was not included and the standard breakfast is $25 but a letter they give you on check-in points out there is a Continental breakfast for $15 (all these per person). As we saved but didn't read that letter until later we had breakfast at a nearby Subway for less than $10 each. We were wonderfully surprised by the facilities on offer - spa, swimming pool, tennis courts, gym, and the games room with darts and billiard table. Lots of things to keep the kids happy. In one of our rooms, however, there was no chair and the door handle was broken. In the other room there was no wardrobe and TV reception was not working. These are minor issues for us. The hotel is still being refurbished so I am sure these will be fixed soon. We will definitely stay here if we visit Bowral again. A lovely hotel. We heard that they were under renovation so spent a little extra for a deluxe room. It was clean, comfy and a close walk to the shops. The staff were accommodating, the hotel was beautifully decorated and the restaurant had great food and great service. Beautiful old building, recently redecorated, amazing features. Friendly welcome. 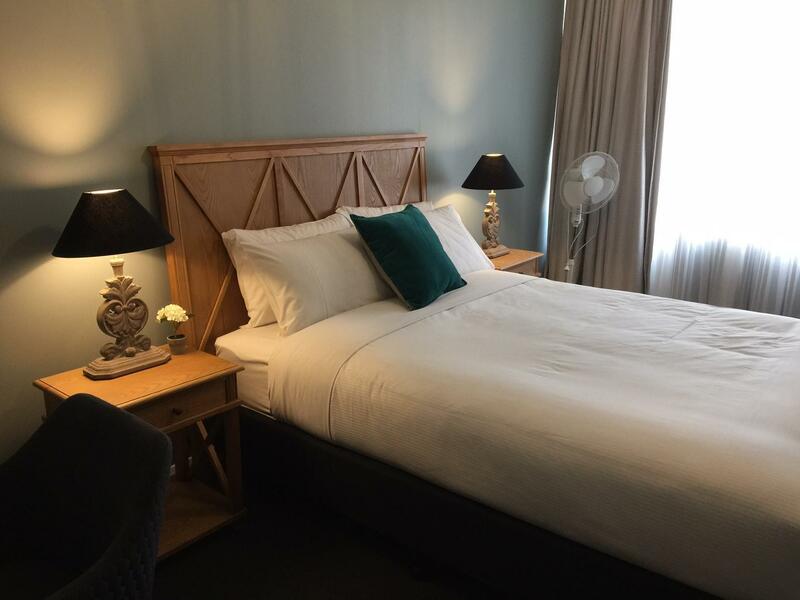 Rooms have all you need, queen room is small, but the hotels amenities- bar, pool room, reading room, indoor pool & restaurant make up for the size of the rooms. Easy walk to Bowral's Main Street. We will definitely be staying again. My partner and I came down to Berida for the June long weekend. We had a fantastic stay and will definitely be back. Looking forward to visiting again soon and seeing the next stage of the renovations! 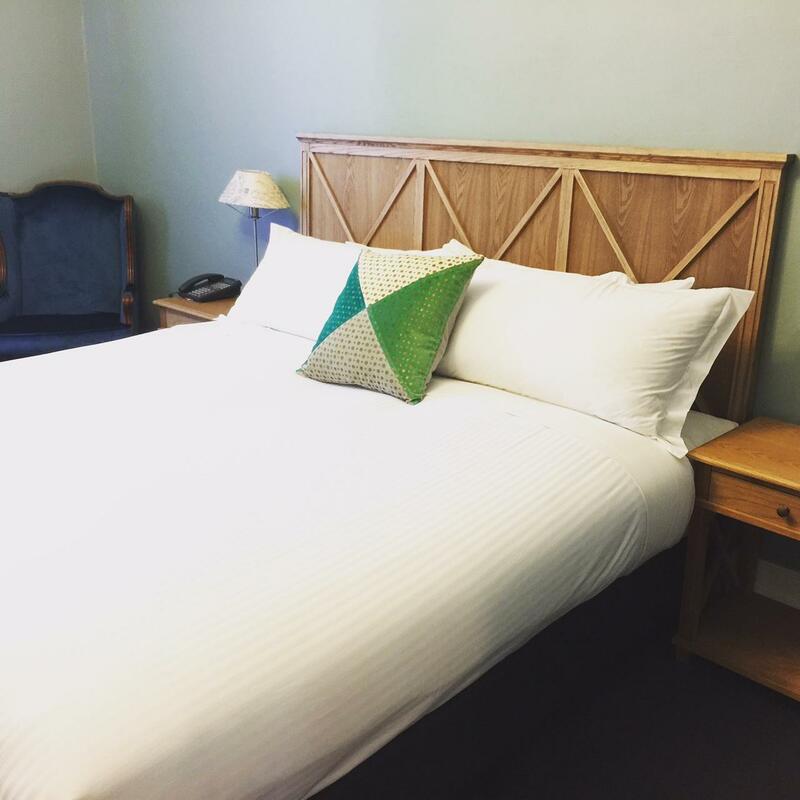 The building is beautiful and conveniently located in Bowral. The decor in the common areas has an old world charm to it. The beds are comfortable, but the rooms most definitely need an overhaul - wallpaper is cracked and furniture is old, and the room was very dusty. It was a nice change from everyday life. We enjoyed our staying there. Beautiful grounds, tasty and fresh food, helpful and professional staff. But I would suggest some interior upgrading,e.g. bathroom renovations or some new tea kettles. Stayed there for one night only, had a wedding to attend to in the mid afternoon and evening. For me it was a cheaper option than close to $300 a night at the wedding venue. I thought the room was quite dated and very simple. The heating was excellent, too hot in fact. Bathroom was small and very outdated, could do with a spruce up or complete reno. Did not eat at the Resort, had to leave early in the morning to get back to Sydney.